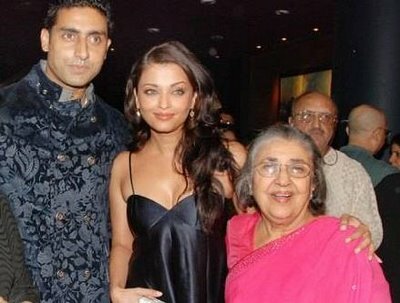 Happy Birthday to Aishwarya rai, Bachan family is celebertaing her 38th birthday today. into a traditional south Indian family, Aishwarya started modeling at a young age. stormed into the Indian movie industry, where she has proven herself a brilliant & genuine actress. Her performance in The Duo (1997) was critically acclaimed, and she won the Screen best female debutant award for her role in ...Aur Pyaar Ho Gaya (1997). She was adored in movies like Taal, Hum Dil De Chuke Sanam, Devdas, her item number in 'Bunty & Bubbly' had sent waves of rhythm across the nation. With her successful Bollywood movies & prestigious Hollywood projects lined up for release it is impossible to ignore this Indian diva in international scenes.